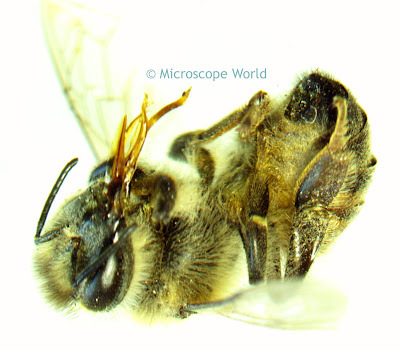 Finding interesting items to view with your stereo dissecting microscope is easy if you live near a pond or marshy body of water. We recently visited a local lagoon to gather some interesting specimens to view under the microscope. Even if you don't live near a pond, look in your back yard for some stones, flowers and interesting leaf patterns to place under the stereo microscope. 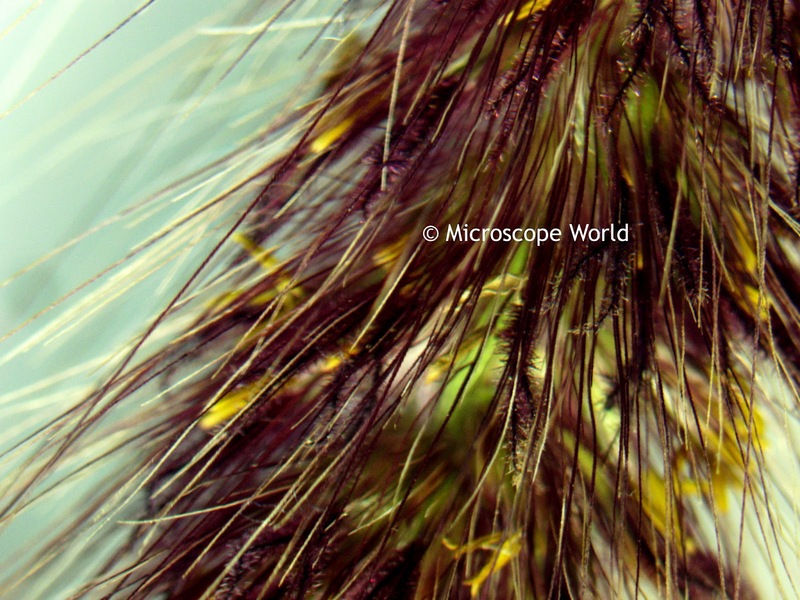 This cattail was captured using a stereo microscope and the MW5.1 CCD microscope camera. Cattails are also referred to as bulrush or Typha. Their rhizomes (stems) are edible and were consumed in Europe thousands of years ago. (We do not recommend eating them today). Typha is often among the first wetland plants to colonize areas of newly exposed wet mud, with its abundant wind dispersed seeds. It can also survive in the soil for long periods with buried seeds. It is considered to be a dominant competitor in wetlands, and often excludes other plants with its dense canopy. Muskrats are known to eat a lot of cattails. Bee captured with the MW5-L5 stereo microscope using the MW5.1 CCD microscope camera. Bees are located on every continent except Antarctica, and are known for their aid in pollination of flowers. Chances are that if you have flowers growing in your back yard, you will also at some point have bees as well. 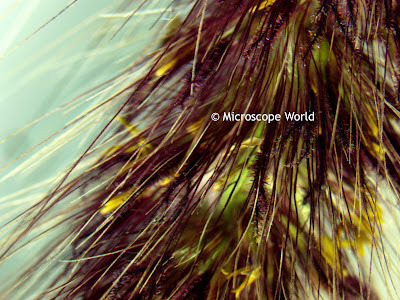 What other items can you locate near your house to view under the microscope? What about a blade of grass or an interesting rock? Do you have a garden? If so, try looking at something from your garden such as the husk from an ear of corn or a slice from a fresh lemon.